To understand a life of minimalism, it is important to fully understand that there are different perceptions of what this means. Ultimately, it is up to you to decide what is important in your life and what is not. How Can You Tell If You Need To Minimalize? Minimalizing your space, also similar to decluttering, is something you may not even realize you need to do. Humans fall into patterns and repetition very quickly; we move throughout the days of our lives in a very routine manner. We clean the same rooms over and over, promising ourselves we will go through some papers when we get the chance, or we will organize our cupboards when we have more time. If this sounds familiar then likely it is time for you to declutter or minimalize your environment. Put it in your calendar or agenda and go through one room at a time; your home, office, or even your car and look at what you keep within this space. It can be a difficult process to complete. You may find yourself uncertain about some items, holding on for sentimental value, or holding on because you’re not even sure why. In some situations, you may have to cut out with items that no longer serve you or bring you happiness. In other moments, it might be wise for you to set items you are unsure about into a box or bin; and put them away for a while. It can be in a week or a month but set a designated time to come back to them and evaluate how you feel. If you haven’t used it and for the whole time it has been put away, then the odds are that you are not likely going to use it anymore and it needs to be thrown away. Acknowledge your past and all that it has allowed for you to become today, but also learn to let it go. Minimalization is not only about the objects that we have around the house – piles of papers, embellishments, books we’ve never read – but also about the way we spend our time (or some may view it as waste our time) on electronic devices. It can include but is not limited to, time spent on a tablet or computer, watching television, social media outlets, or playing games of various sorts. Whatever the reason you choose to designate some of your time to these outlets, keep in touch with friends, allow your brain to shut off for a while, reduce stress, consider your interactions with friends and loved ones, and take a break from the electronics for a while. By minimalizing the time spent on our devices, we are showing the people in our life that they are worth our time. Although for some, this may be extremely difficult. Their jobs revolve around the fact that they have to respond to an email right away. However, it is always a good idea to set limits for when you are available. Letting others know that you will not be available by text or email after a particular time helps you avoid feeling the need to constantly checking in on your phone and instead allow you to check in with people in real life. Yoga is all about living in the moment; worrying about the past, or the future is inconsequential. When we are not in the present moment, we are cluttering our mind with unnecessary worry and regret. Whenever you feel your mind is slipping into something that happened a week ago or fretting about something that has yet to happen, remind yourself just to be, and that everything will be sorted out. 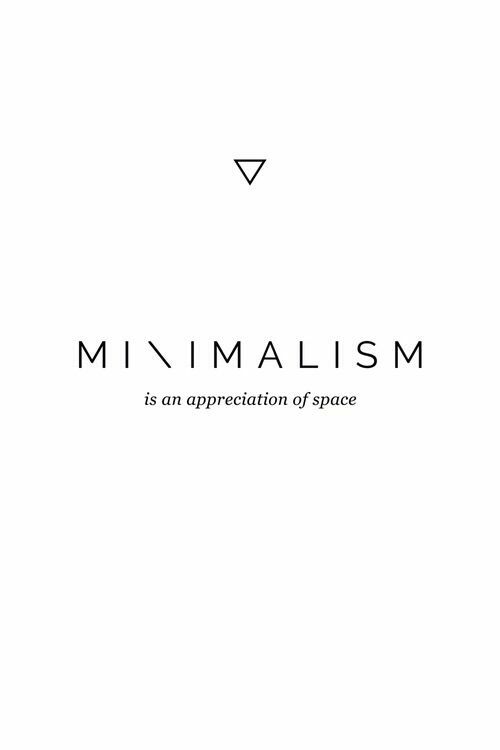 Minimalism does not mean living life with the bare bones of life and not having nice things that make you feel good. It is a lifestyle that allows you to remember what and who is important in your life, and the thought to acknowledge them. Take the time to declutter all parts of your life and make time for it. You deserve not to be distracted from what is most important to you.